Brandon Goodwin has performed with some of the greatest jazz artists in Canada, such as Dave Turner, Fraser Hollins, and Dave Grott. He has also studied with several luminaries, such as Ari Hoenig, Dan Weiss and Nasyr Abdul Al-Kabyr. He is bandleader of Montreal jazz group, B's Bees and also drums in the award-winning Carolyn Fe Blues Collective. His group B's Bees is a hard swinging jazz outfit known for writing compelling original music and playing high energy interpretations of the music of past masters such as The Jazz Messengers, Thelonious Monk and Charlie Haden. Comprised of five core members, they wowed the audience at their debut concert at the Montreal International Jazz Festival in 2012. When Brandon won a scholarship to play at the Montreal International Jazz Festival in 2012, he formed B’s Bees with a lineup of some of the young star players in the city and never looked back. Since then the group has been in demand at prominent clubs around Montreal and the surrounding area, playing over 50 concerts and headlining two weekly jazz parties. They are currently on the roster at two locations of Montreal’s House of Jazz and have also developed an entire show of Charlie Haden compositions to pay tribute to the deceased master. 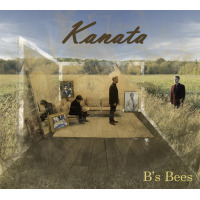 B's Bees released their first album to much acclaim in 2015. The eponymous album reached the #1 spot on several jazz radio charts, and reached #2 on Earshot, a Canadian international jazz ranking. All About Jazz musician pages are maintained by musicians, publicists and trusted members like you. Interested? Tell us why you would like to improve the Brandon Goodwin musician page.